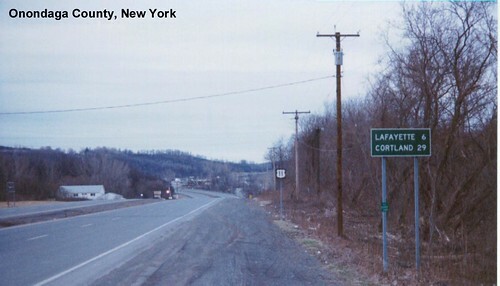 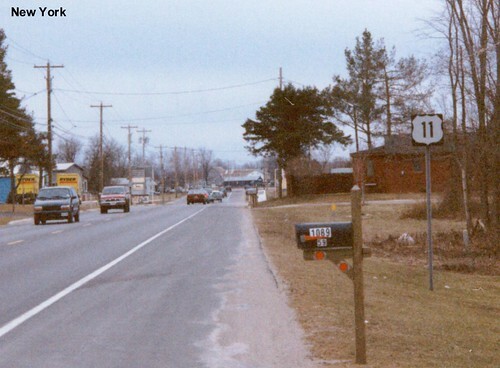 US 11 begins at the Canadian border. 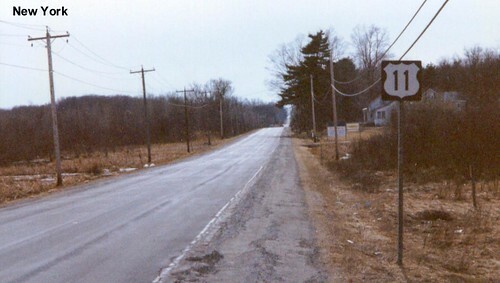 There isn't much right at the border so the US inspection station is a bit down the road. 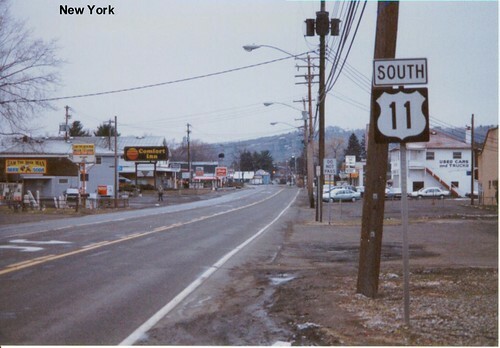 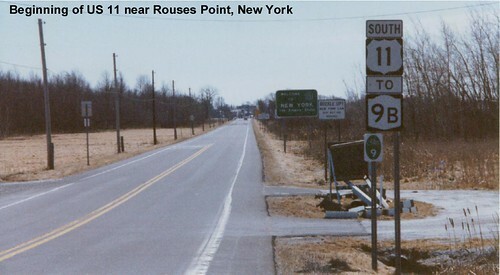 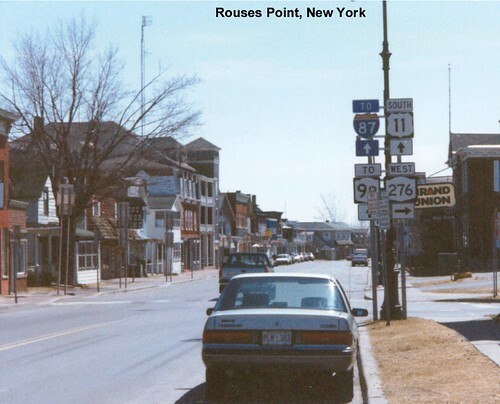 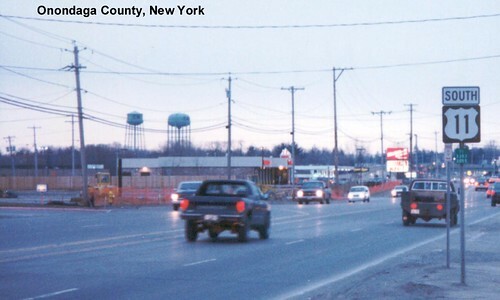 US 11 goes through Rouses Point. 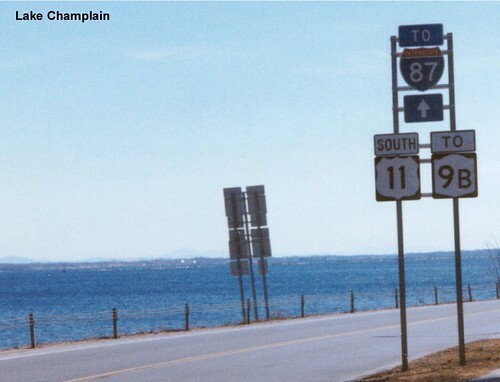 We ride along the shore of Lake Champlain for a short while. 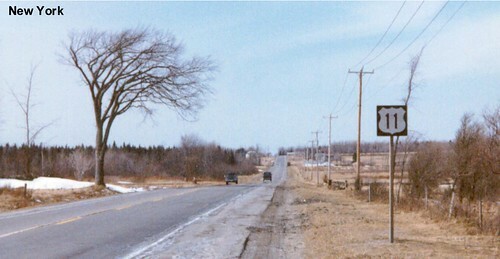 US 11 heads west following the Canadian border. 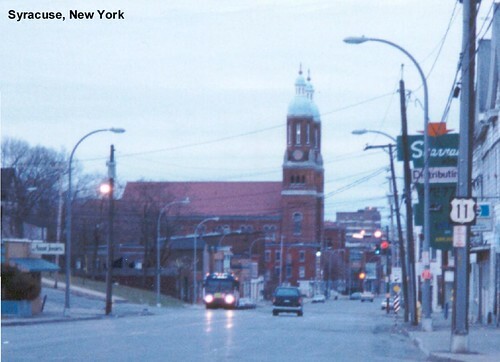 Pictures of this part of New York in April just look cold. 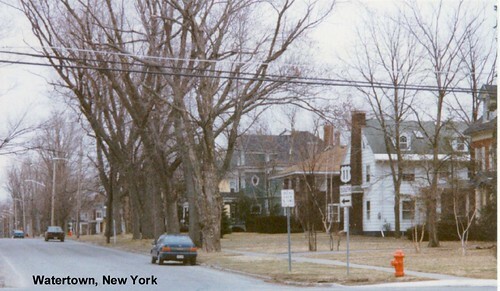 We see some stately old homes as we ride through Watertown.